Pangea Mortgage Capital funds hotel in Canada. 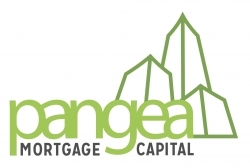 Chicago, IL, August 30, 2017 --(PR.com)-- Pangea Mortgage Capital (“PMC”), a nationwide commercial lender headquartered in Chicago, Illinois, announced today the closing of a $10 million loan for the funding of a hotel located in Canada. To discuss any potential financing opportunities, please call (312) 489-8108 or email inquiries@pangeamortgage.com.